In this guide, we will discuss specific hazards associated with clothing buttons, the safety requirements, and preliminary assessment we can do to ensure safety. Incorrect attachment can cause the button to fall off the garment. A button attached by (incorrect) stitching can pull through the fabric and detach itself from the garment. Shank buttons with plastic shanks are vulnerable to breaking. Buttons with several different components can become separated. Buttons manufactured with wood, coconut, or shell materials can disintegrate in a normal wash or break. Buttons with sharp or rough edges, especially around the buttonholes can cut the stitching thread attachment. Improper button placements can lead to the discomfort of the wearer. A button product for all ages should follow these criteria. The button product must not contain any sharp or rough edges. Buttons must be subjected to the testing of color fastness to water. Buttons must be securely attached with proper stitching or other attachment systems. Buttons attached by stitching must be securely finished. A firm tension of stitching is a must in button attachment by stitching. Backing fabrics must be suitable to ensure the firmness of the button attachment. Button placements should be considered carefully not only for safety purposes, but also to guarantee the comfort of the wearer. Decorative buttons must be attached individually. These buttons require at least 2 buttonholes at the top and bottom, or 4 buttonholes in the center. Additionally, decorative buttons sewn onto just a single layer of fabric must have a suitable and fusible backing. You may learn more in this post How To Attach Buttons/Snap Fasteners Correctly. With the usage of buttons being so common in many fashion items, safety assessments are absolutely necessary, especially for childrenswear where chewing and biting are more common. There are specific hazards, associated risks, and safety requirements for the use of buttons on childrenswear. Buttons can crack or break, resulting in pointy edges, or are simply manufactured with sharp edges. Components of rivets, snaps, metal trims, and buckets can be sharp or sharp when broken. Buttons on childrenswear must not create sharp or pointy edges, even if they crack or break during use. The construction should have smooth surfaces to reduce scratching risks. All the included components must not create any sharp or pointy edges, even if they break during use. Accessories and components included should not have burrs. Buttons resembling food can tempt children to chew it along with the threads, often causing detachment. Multi-component buttons can separate into different pieces, allowing the possibility of ingestion. Buttons not secured properly with correct attachment can also be detached by sucking, pulling, and unraveling, often leading to ingestion. As with buttons, metal trims, rivets, snaps or buckles may become detached by pulling or unraveling, leading to ingestion. Multicomponent buckles and rivets may separate into smaller parts. Buttons with designs resembling food must not be used on childrenswear. Buttons must be securely attached. Multi-component buttons should generally be avoided in childrenswear, and even if they are applied, they should not separate under any circumstances during use. All components must be securely attached. Assembled metal trims, buckles, and rivets with several components must not separate during use under any circumstances. Buttons manufactured with chemical materials or finished with chemical coatings can lead to skin irritations or more major health issues. Buttons should not contain hazardous materials, according to health and safety regulation standards for childrenswear. To ensure the safety of any button products, there are several aspects that must be assessed. Does the button has 4 buttonholes or more? Does the button have multi-components? Can they be separated? Can the button get broken or shattered? Is the button attachment securely fastened? Does the button have a 2.5 cm diameter or larger to prevent biting (especially for childrenswear)? 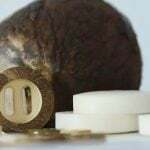 Is the button manufactured out of wood, coconut or shell that will disintegrate during wash? Is the position of the button proper in terms of comfort for the wearer?